Lokomotiv Kuban Krasnodar stayed undefeated in Group C by topping Partizan NIS Belgrade 83-93 in the Serbian capital on Wednesday. 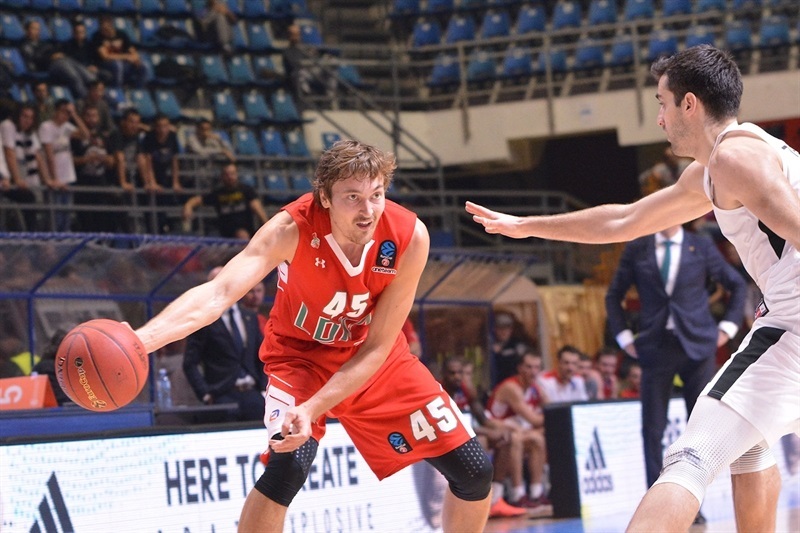 Lokomotiv improved to 5-0 and remains one of the three undefeated teams in the competition along with Darussafaka Istanbul in Group A and FC Bayern Munich in Group B. Partizan dropped to 1-4. Joe Ragland led the winners with 23 points. Dmitry Kulagin added 17, Trevor Lacey had 13, Brian Qvale contributed 12 while Pavel Antipov and Ryan Broekhoff each got 10. Nigel Williams-Goss led Partizan with 18 points. Samardo Samuels and Patrick Miller each added 17 while Vanja Marinkovic had 13 for the hosts. 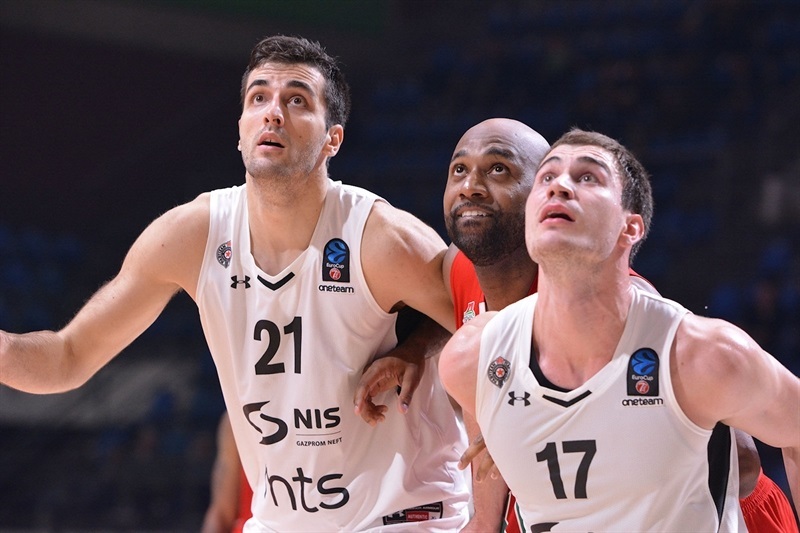 Williams-Goss and Marinkovic gave Partizan an early double-digit lead, 17-6. Lokomotiv managed to get within 24-21 after 10 minutes and regained the lead, 34-35, on a jumper by Lacey. Broekhoff and Vladimir Ivlev helped Lokomotiv keep a 39-41 edge at halftime. 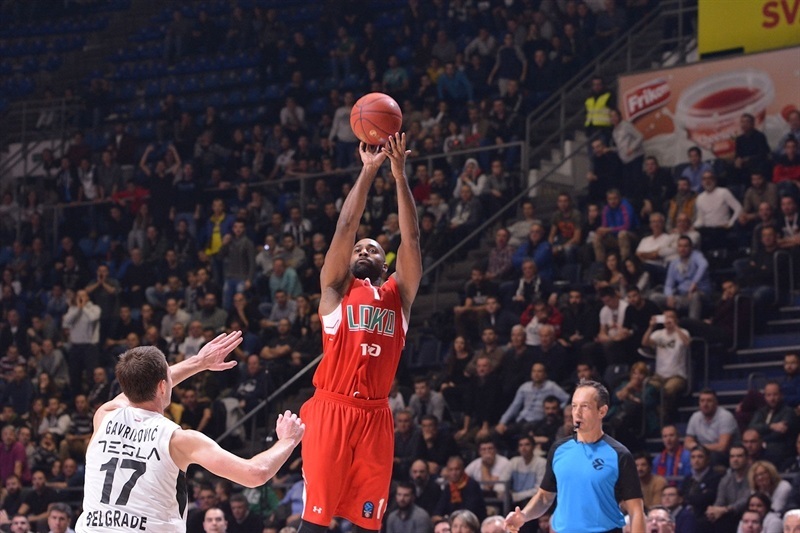 Samuels and Williams-Goss paced Partizan to a 56-54 edge late in the third quarter but Lacey had seven points in a 1-11 run that put Lokomotiv ahead for good. 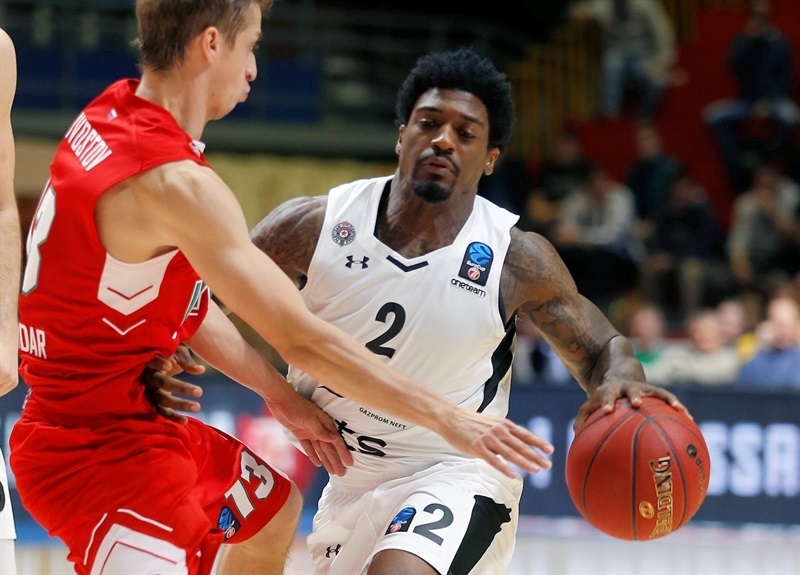 Partizan managed to get as close as 77-81 but Ragland sealed the outcome with consecutive three-pointers. Qvale got Lokomotiv going with a jump hook and a tip-in but Williams-Goss and Strahinja Gavrilovic soon gave the hosts a 10-4 lead. Partizan found a new go-to guy in Marinkovic, who followed a triple with a reverse layup to make it a double-digit lead, 17-6. Ragland, Antipov and Kulagin each struck from downtown to keep Lokomotiv close and a slam by Ivlev got the guests within 24-21 after 10 minutes. 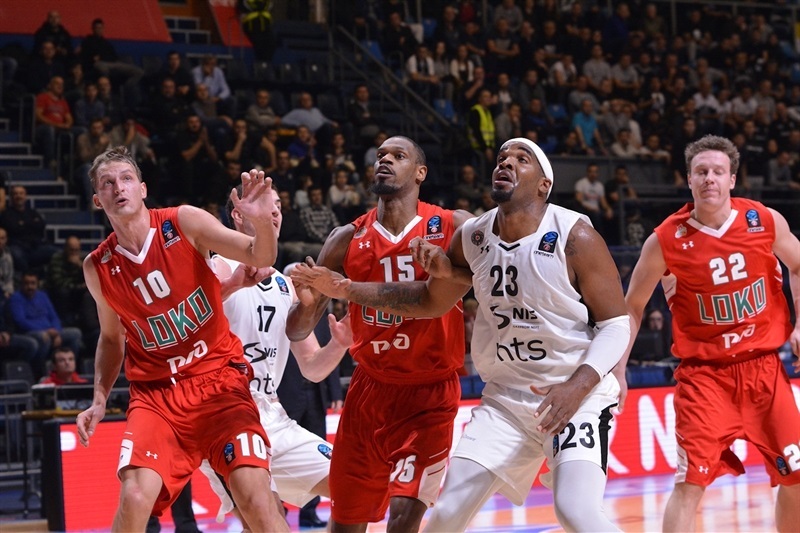 Miller downed a jumper and Marko Pecarski followed a triple with a put-back layup to restore a 31-25 Partizan lead. Qvale kept pacing Lokomotiv with a couple of layups and Mardy Collins also scored down low to make Partizan call timeout at 34-31. A jumper by Lacey soon put the guests back ahead, 34-35. 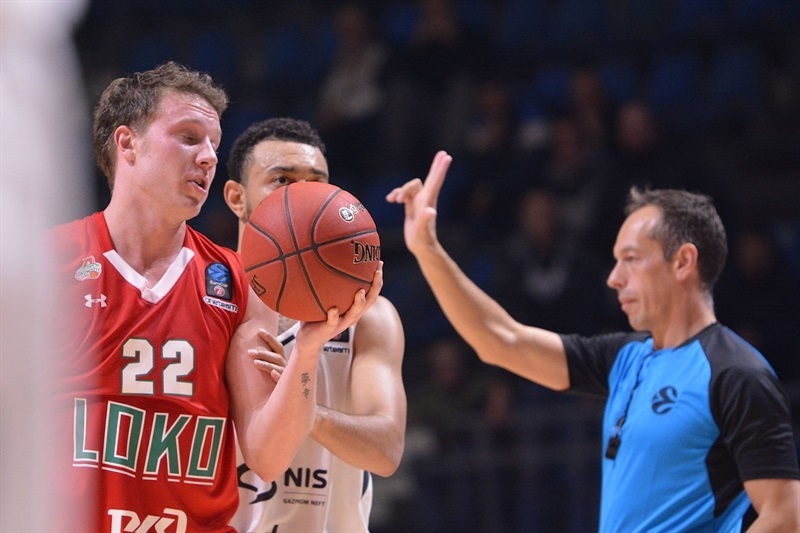 Broekhoff capped a 0-9 run with a three-pointer but Miller and Djoko Salic kept Partizan within 39-41 at halftime. Williams-Goss and Samuels put Partizan in charge again, 45-41, soon after the break. 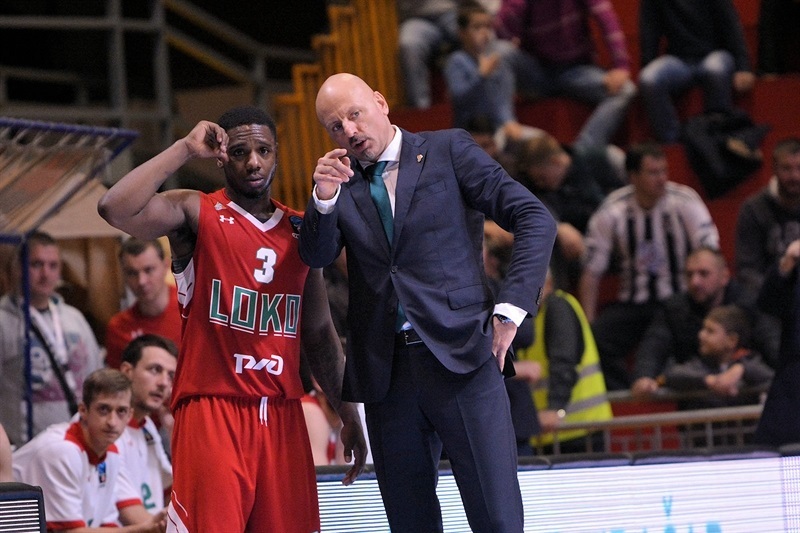 Ragland struck twice from beyond the arc, getting help from Qvale to restore a 49-52 Lokomotiv lead. 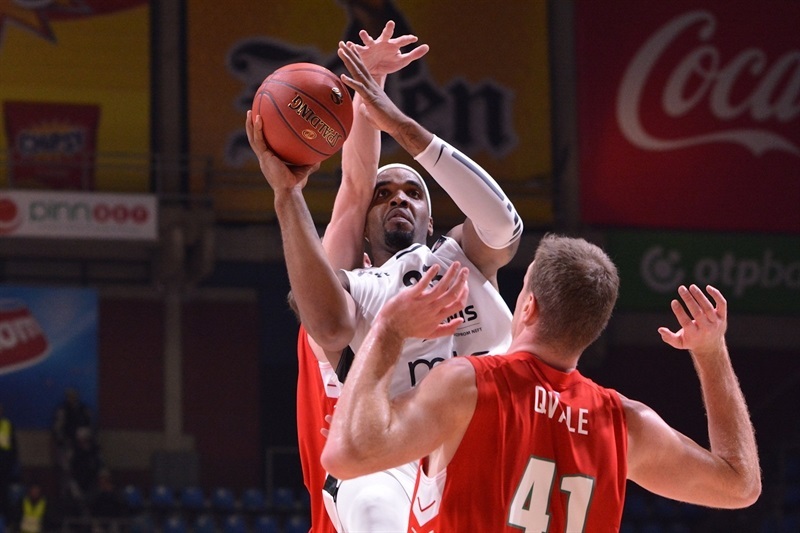 Williams-Goss answered from downtown and a layup by Salic soon gave Partizan its last lead, 56-54. Lacey stepped up with a layup, a triple and a jumper in a 0-9 run that put Lokomotiv in charge, 57-63, after 30 minutes. Samuels and Miller tried to bring Partizan back ahead but Antipov and Kulagin nailed back-to-back three-pointers and Broekhoff added a huge put-back slam for a 64-73 Lokomotiv lead. 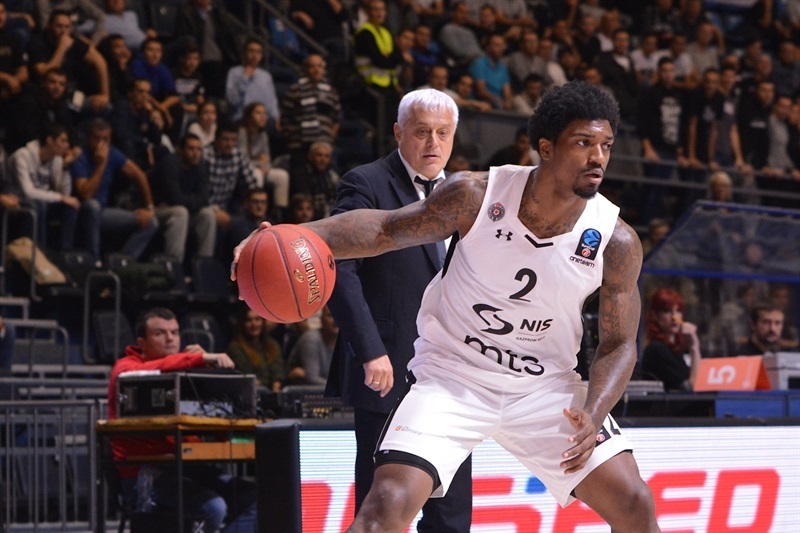 Marinkovic, Miller and Williams-Goss hit a triple each to bring Partizan within 77-81 with over 2 minutes left but Ragland answered with back-to-back bombs from downtown to seal the outcome down the stretch. 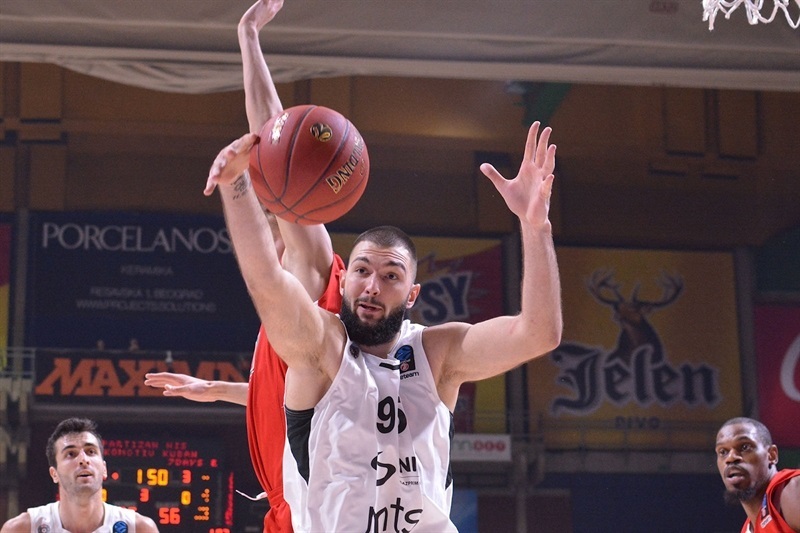 Both teams return to EuroCup action next week as Partizan welcomes ALBA Berlin in the Serbian capital on Tuesday while Lokomotiv hosts Limoges in Krasnodar on Wednesday. 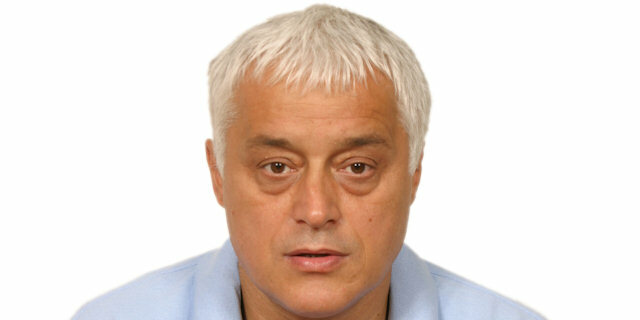 "I think that Sasa's team is the best team in the group, with great players, professional staff, and a big budget. What should I say about my players? We fought and collapsed tonight without three players: Stevanovic, whom I need very much in my rotation, Novica Velickovic, who is injured two games in a row and Marko Cakarevic. We really fought. For a while we played much better defense and that's when we were in the lead. We were close. Congratulations to my players on a better game. However, we still need to tighten our team both in defense and offense. We work every day without a day off. It's important that these guys do not enter a series of defeats." "I'm glad to see you all here. We started the match pretty soft against a team that found a way to get back on its feet and bring us a lot of trouble at the beginning, especially in the first quarter, when we lost the offensive rhythm. Afterwards, we found it. The shooting guards showed they have a lot of potential and they will bring a lot of trouble. For us this is an important victory, especially in these conditions. 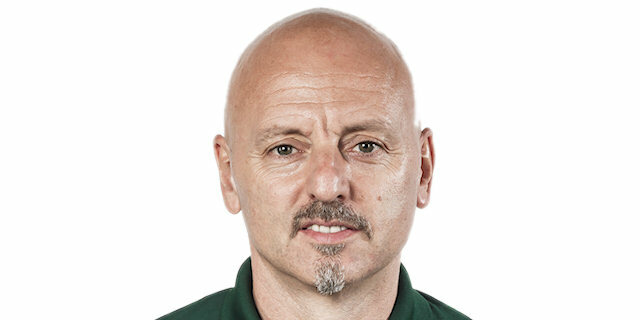 We need to have more of them in order to play more relaxed."